Nearly two decades ago, Layne Beachley surfed her way into the history books, winning seven world championships, six of them back-to-back. The year of her first world title (1998) she won five events, including the famed ‘Triple Crown’ and earnt US$75,000 prize money – a small fraction of her fellow male surfers. In the last two weeks, Layne has enjoyed a double victory of the sweetest kind. Not only did she win her 8th world title at the World Grand Masters Championship in the Azores but she also won a campaign she’d been waging with other pro-surfers for twenty years – equal prize money for female surfers which will apply to 180 events globally. 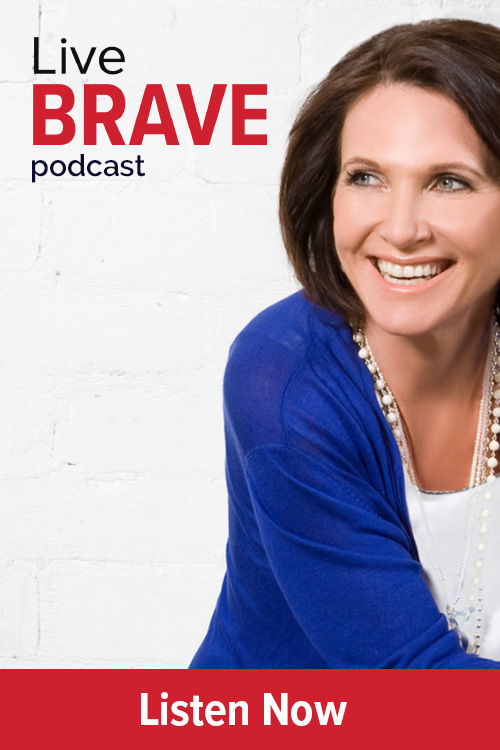 Before leaving for the Azores, Layne and I had a lively conversation on my Live Brave Podcast about her personal journey – on and off the waves. She shared how fear of being innately unworthy drove her earlier success but robbed her ability to enjoy it. Her courage to finally confront the truth of her life, to let go her constant striving and live from self-acceptance totally liberated her life, enabling her to build deeper relationships (Layne married INXS guitarist Kurt Pengilly in 2010). Layne’s experience is ultimately a very human experience. It shows how quickly fear, when left unchecked, can hold our future hostage and sabotage our efforts to succeed. When we don’t confront it, it can take over the driver’s seat of our lives, shaping our decisions, and leaving us living in a ‘default mode’, reactively moving away from perceived threats to our sense of security and status rather than moving toward whatever could bolster a deep intrinsic sense of self-worth and satisfaction over the long haul. Layne’s fear of being innately inadequate, and her constant striving to prove otherwise, is something so many people can relate to. While we may not all aspire to become a world champion, many still feel a relentless need to prove their worth and be a ‘winner’ in some way. Yet the fear that leaves people on a treadmill of constant striving can also rob them of their ability to enjoy their success which is why Layne’s story is so powerful. By learning to confront her fear she was no longer trapped by it. As I shared with Layne, when I tried my hand at surfing a few years ago I realized I had not missed my calling. Yet how many of us do miss our calling because we are so preoccupied with proving and pleasing and impressing? “Have the courage to look in the mirror and to ask yourself, ‘What is stopping me and is it real?’” says Layne (you can listen to our full conversation here). It’s a powerful question. So as you look out toward the future, consider what new possibilities would open up for you if you gave yourself permission to let go your fear of failure and to move toward whatever excited and inspired you most deeply. Sure, it may never lead you to a winners podium, but it will almost certainly lead you in a direction that is infinitely more soul satisfying. Nothing robs our freedom nor limits our future more quickly than fear. And nothing liberates our potential and expands our horizons more profoundly than courage. We build it each time we choose purpose over pride, growth over comfort, and faith over fear. Layne’s legacy to date is testament to what becomes possible when we do just that. And I have little doubt that her greatest legacy is still yet to come.